We as Financial Planners also hear similar tunes when we speak about Financial Planning concept. And my inference is that people do not appreciate any kind of PLANNING as a matter of fact. Doing a thing in the most scattered way has its own pleasure. People know that we are talking in their favor but they avoid seeing a Financial Planner. They avoid financial discussions and even shun learning for which they have to pay nothing. Why do people avoid Financial Planning? Based on my interaction I am summarizing why people say no to Financial Planning. You still are not aware of the Financial Planning. Although media is over it and web pages are full of it but still, since you had your mind diverted, you are not familiar with it. No issues here as you are “never late” if you have “not arrived”. Spare some quality time and get to know the concept of Financial Planning. Speak to a professional who can clarify your doubts. 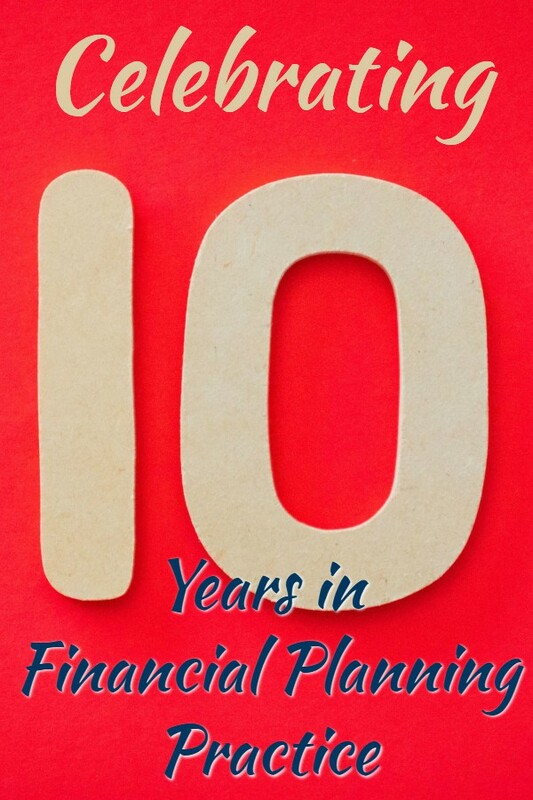 Try to seek examples where a Financial Planner has changed some one’s life. Read what is Financial Planning? You are well aware about the concept but still think this is not enough. The conviction has not reached the desired levels. Try to address your distrust over the concept. I also advocate that conviction in the concept is the first most requirements. 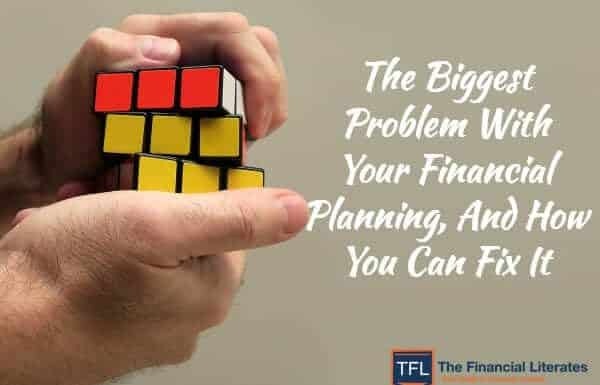 A Financial Planner can convince you but you need to be in sync with him as he will put you on the driving seat as you are the driver and he is simply the maker of that custom-made vehicle, which is called a Financial Plan. Is Financial Planning Important? Once I was talking someone who make Rs 8 Lakh annually working for a telecom company and he said “Hemant, after all the budgeting, expenses & tax planning I save Rs 2500/- a month and this makes Rs 30000 a year. And, if I take your services half of this amount will be your fees, so why will I pay Rs 15000/- to manage Rs 15000/-? What a check mate explanation!! I simply answered that it is your misconception that you can save only Rs 2500/- a month. A Financial Planner is not a guardian of your already earned wealth. He is basically the “Creator” and “Augmenter” of wealth. Your present economic condition has nothing to do in engaging financial planning. Some people say they don’t have money for grocery, utility & school fees, yet they throw away and step over money like they don’t need it. Read Budget Your Savings. You have already taken a life insurance cover and have a sip. You have bought a bit of Gold every Diwali and have taken a home loan to avoid tax and invest in reality. 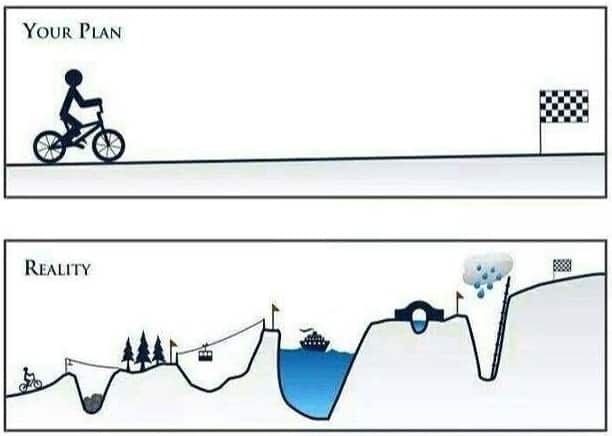 And you think this is what a financial planning means. No friend, this is not financial planning. You are moving here with no goals. You have no end here and you do not know what you are doing is enough or not. If someone is claiming that this is financial planning, he is misleading you. The Financial Planning is s comprehensive field covering lot of aspects. You invest a lot. Whatever comes any insurance policy that is launched or any IPO that comes, you eagerly put some money into everything. Financial Planning is not only about investment planning. 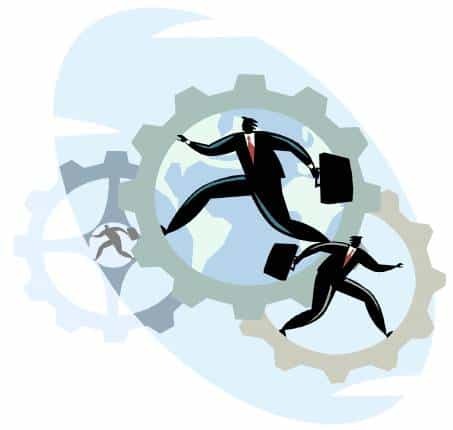 It deals with other disciplines like risk management, insurance, estate, tax planning etc which are equally important. You need to take a correct guidance and then place the foot.When someone asks you what you really want out of life, you’re probably not going to say you want an investment that delivers best returns. Think.. Read Returns cannot be your goals. Some of you also think that luck is on your way and you do not require planning. 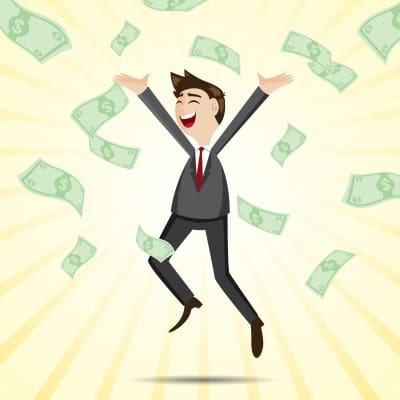 May be you are counting the inheritance money that you might be getting or your parental business or you are just a happy go-lucky character who lives in each moment of life. For you I would just say that you are just enjoying the cherry which is over the cake and forgetting the cake which might turn out to be sour. Hope you do realise this before the cake gets stale to eat while you were too busy with the toppings. You have made your own calculations about your future expenses and have started planning on your own. Your planning can never be comprehensive which will cover all mandatory aspects. What is the use of fighting a war where you have not planned your ammunition? You are not aware of your enemies strengths and even do not know how long this war will continue? Please come into light and face the reality. You are expert in your field but not in financial planning or investments. You have a habit of being a non- starter. You do not initiate at once. You wait for other to start then you keep on postponing it till the last minute. You also fear of losing so you do not initiate at all, or start when it is an emergency. Lot of people has this strange thing that despite being convinced they make delays. In investment planning we deal with a genie called “Power of Compounding” and this genie can do wonders if you give proper time to him. Time has a value and delays can be very painful. Delay can have significant impact on your financial life pyramid. Read Cost of delaying Financial Decisions. 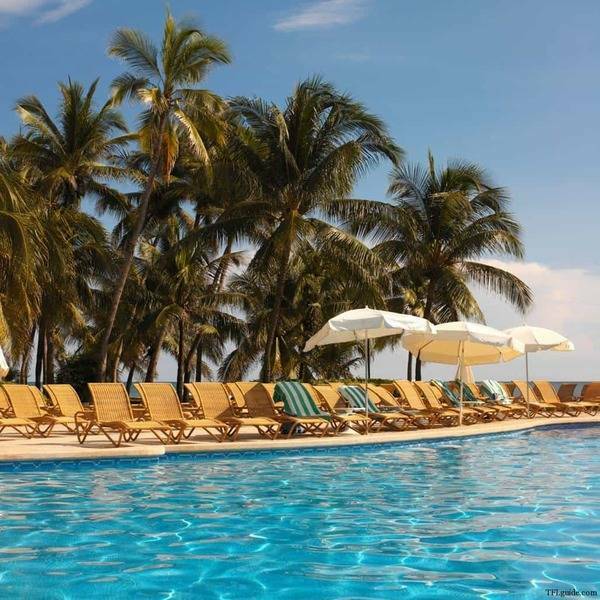 You feel that you are made to enjoy the freebies. Nerds make payments and smart ones enjoy the nature. You are wrong my friend. May be in other field of life this might be true but in this field you need to invest. Here you will find lot of sharks with honey draped faces to make a prey out of you. Even a single wrong meeting, advice or transaction may ruin you and future of your loved ones. It is best to engage a professional who can advise over the vested interest of product sellers and can synchronize your financial life. For this you need to pay and over a period you will realise it was worth paying. 10. Don’t read this as a TENTH excuse as it is ’n’ – n number of other reason that people keep giving. These are the top reasons that came to my mind. And I am sure I have missed many – please share with me in comments. If you ask me “Who should plan and when to plan?” I’m obviously biased, but the answer is everyone and as soon as possible. Planning for financial goals makes a significant impact on people’s outlook – people feel more confident about their finances if they have a plan. Next articleWhen is the Right time to send money to India? You know sometime you don’t want to hear the truth or to run away from it, i guess that’s instilled in human mind. But its up to an individual to hear, ponder and work on it. I am sure who ever will read this article will observe that’s what most of us think about CFP. But i must say that I am quite, not quite, but 100% satisfied in what you have said straight, to the point. Appreciate your website and you for writing such articles to open our eyes. I think you have covered most of the myths about financial planning.I have a few more in mind which I will share with you shortly. Hi Hemant….. Would like to add few more point which i regularly come across…. Really difficult to change mindset of public……. however its just a beginning….. Loved this article hemant. Actually all these are practical issues. I have observed that since financial plan does not provide people with instant gratification so they always feel that this is just waste of time. on the other side when Financial planning is being so much misused by insurance people , brokers and even mutual funds agents , no one gets actual clarity on this subject. It happened to me once , a client came to me for discussing how i can help him arrange his finances better for achievement of his goals. After having a brief look on his finances, i advised him to clear off his personal loan by breaking a fixed deposit. He didn’t like the idea and went away. After few days when i followed up , he replied that he’s purchased Child plans for 2 of his kids and also bought one pension plan, so his financial plan is over. Actually he was looking for products and not advice. LOL . He came with point no. 1 and 5 in mind , and after doing what he was looking for went under point no. 4,6 and 7 as explained by you above. You are doing a great job by giving useful info through the blog. I have immensely benefited out of it. But as is always the case with every financial blog, you are trying to get few clients out of blog’s readers. I oppose the statements – Please come into light and face the reality. You are expert in your field but not in financial planning or investments. There are only handful of products which can be termed as investment products (I don’t agree that futures and options are investment products. So complex products are out. ). It does not require great deal of expertise to find which product gives assured returns, which product is more risky. The expertise required is not of the level of doctor where you have to know to many intricate details to know which product makes sense for the client. There are few asset classes – debt, equity, real estate, gold. Everybody know risk level, liquidity of the class. CFP is difficult to survive because they do not ‘manage’ money like hedge fund managers. They just provide financial ‘planning’ which does not require much knowledge. Poor people do not have enough money to think about risky asset classes like “equity and real estate” and rich people know how to manage their money well. The mid income people would be happy with FD and equity mutual funds. You have to first prove that you know enough nuances of the system (for example proving that how one asset turned risky when everybody else thought it is riskless and vice versa). Then only people would believe that you know more than them and they need you for financial planning. Thanks for showing me mirror. Your comment reminds me of Stephen Hawking words “The greatest enemy of knowledge is not ignorance; it is the illusion of knowledge.” People concentrate too much on what they know & what about things that they don’t know. There is a difference between changing a light bulb & playing with whole wiring of house. Whenever I ask myself “Who am I?” I never got an answer that “I am a blogger”. I am not a guy who is working in a software company & running a blog to earn some ad revenue. If you have noticed, only from last month I have added ads & that too because now managing TFL is a very costly affair. And only from this week I have shared our services on TFL – I don’t think it’s a crime. Have I ever shared an affiliate link to sell something or published a post for which I have been paid for or promoted a product which doesn’t make sense for readers or I have asked you to download forms with my codes. There is lot of scope for a blogger to do all this. In a reply to one of comments by Anil I clearly said “I hate to be called a Blogger”. So I would like to clarify that I am a Financial Planner and work almost 12-16 hours every day. What’s in it for me to give minimum 4-5 hours every day on TFL – I am not on ‘Self-actualization’ level in Maslow’s Hierarchy. I have my family & my practice, which are more important than anything else. Let me share that in last 1 year almost 4-5 Indian finance bloggers have stopped writing new posts – do you want a same fate for TFL. In last 1 month 50000 unique people visited TFL & have read some article – I believe it would have helped them in some way. But will my practice be ever able to handle even 500 clients, so end of the day TFL is going to help lot of people to improve their financial life. Regarding your point “CFP is difficult to survive”. Who needs me “I think almost everyone” – can someone or some technology will replace me “I don’t think so”. (Here ‘me’ stands for a financial planner) So don’t be worried about our survival. After reading Sanjay’s comment I am reminded of what you had mentioned to me earlier in your mail. I am wondering why you are not blocking such senseless comments. Before showing anyone mirror one must see how one looks in the mirror. I understand managing TFL is not easy.I know people give up after a few posts on their blogs.If you just compile your posts in the form of a book it will have much more useful information than the books published by some bloggers. I admire you for the great thank less job you are doing and expect you to regularly add new posts to TFL with the energy with which you are doing now. I would request you to send in future the senseless comments to the dust bin where they belong. Whatever Sanjay had said you need not to worry about it,It shows thee mirror that what people think when someone wants to help,You never asked to select you only as CFP,one can hire CFP whom they believe ,but the point is hire someone . Finanace jungle is too complicated I realised after reading you and Manish.I have decided to read more & more because its interesting too 🙂 . You are doing fabulous job. People love your eye opening articles. Ignore useless comments. My best wishes are always with you. Don’t stop writing such useful articles. You are frank and upright about your views and in your comments. You are really doing a thankless job.I must compliment you. But I request you not to take Sanjay as your adversary. You should never feel hurt. In India one needs a doctor ( not a quack)when one is sick . In advanced countries they have health professionals ( or so I was told) who treat even the healthy to make them healthier. In India many households struggle to make both the ends meet. To talk to them to retire as crorepati is of what avail? Many men in India are supporting their beloved families under great stress caused by insecure jobs/ professions they hold on to. To have an investible surplus income is a pre requisite for investments. But every one is afraid of the rainy day. So I think to be fair to every body, you should give some guidance on how to generate some investible surplus, how much to save for the rainy day and what should be the yardstick to identify the surplus that qualifies for investment. Sanjay, I somehow disagree with you. I don’t understand why you oppose the statement “You are expert in your field but not in financial planning or investments”. 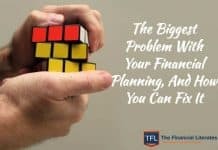 This has been admitted by many professionals that they have made many financial mistakes in the past, which if they had not, they would have been in a much better position at least financially. Through this article hemant is just arising interest of readers to start thinking and learning about the financial Planning. This blog is just to increase financial literacy among general public, so they can manage their finances in a better way. You yourself have admitted this by saying, “You are doing a great job by giving useful info through the blog. I have immensely benefited out of it”. I agree that there are only few asset classes and only a handful of investment products. But I don’t agree that everybody know the risk level and understand the liquidity of the class. If this was the case than why people lose money in the stock market, why they want to put all the money in gold at this point in time, why real estate attract people even if they know that their daughter’s marriage is just 2 years away. And above all, why these regulators are so worried on financial literacy front and want to curb misselling. And by the way if middle income people are happy with FD and Mutual funds then why they invest in ULIPs and that too under the impression (as was told them by seller/banker) that it will surely give 15%-20% return. Why child plan is the only product which comes to their mind while thinking of their child’s future? I have not been able to understand what you are trying to say. Your comment is full of contradictions.You begin by saying this-You are doing a great job by giving useful info through the blog. I have immensely benefited out of it. If after reading TFL some readers want to avail Hemant’s services in financial planning then why should you have any problem with that? It is a fact that many engineers and doctors who are experts in their respective fields have practically no knowledge of financial planning.So what is so wrong with the statement Hemant has made to this effect? 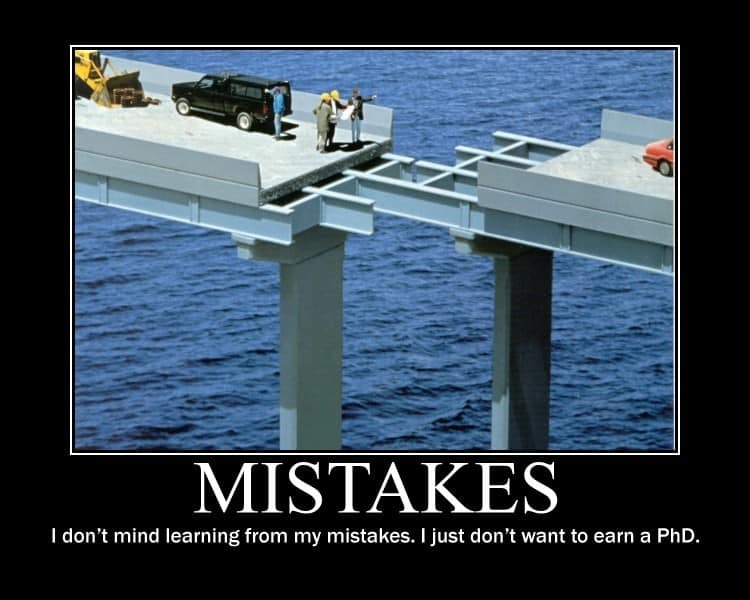 Financial planning is not as easy as you make it to be. Don’t try to insult the intelligence of CFPs and question their existence.They have their clients just like other professionals and they are doing a great job of helping people in managing their financial lives as well as spreading financial literacy through their blogs.They deserve to be treated with respect for the thank less job they are doing. Sanjay I appreciate you raising doubts – India is a free country and forums such as these are there to put the thoughts across. Even if they go against the flow. In any subject ““The more you know, the more you know you don’t know and the more you know that you don’t know.” No one can claim to know all answers. Even Warren Buffet admits of not knowing everything and makes mistakes. Hemant has been doing a great job in explaining basics of finance in simplest terms. I personally have been following his blog(and I have no financial background) and at no time I felt that he is asking his readers to use his services. We are aware that he provides them maybe some of us will use, some will not. His article present his view and as he works with client he is closer to the ground than many others. As a reader we can decide whether we agree or not. Just as you expressed your view. Rather than seeing glass half empty let’s focus on seeing glass half full. Thank you so much for your insightful thoughts and opening the eyes of so many tfl readers. However I regret to say that I feel that it will hardly have an impact on the number of readers of tfl. So u have ended up wasting your time. You sound very proficient in your field ( because i assume you know how to “prove that how one asset turned risky when everybody else thought it is riskless and vice versa”)…why dont you start writing blogs so that people can know about it (instead of bothering about the survival of CFPs which truly shows how much you care for hemant) ? That way you can use your time well also. I hope that your knowledge of the “nuances” will help people a lot. As far as hemant is concerned he can write blogs for people(which i assume must be a large number) who are listening to terms like “term insurance”,”equity”,”debt” for the first time in life. Let him be the start of financial knowledge for a lot of people in India…does that sound good? dear sanjay i m very disappointed by reading ur comment on one hand u r saying u r immensily benefitted from it while on the other hand u r insulting the man who have created such a beautiful blog in a simple language whts ur problem if hemant sir have taken a few clients i dont think he has done anything wrong and this is not a crime ok so just plz dont put such senseless comment. I suggest you do an article on issues encountered in financial planning which cannot be solved by internet gyan. You could include actual client stories. For example handling debt and liabilities are difficult and good and timely advice is crucial. I am sure there are many more you can point out. By internet gyan I mean generic advice, calculators etc. Although I do my planning by myself the time I have spent on this is quite enormous. Most people don’t have this kind of luxury. I ask them to go seek professional advice. I think if your situation is complex you need to go beyond generic advice/calculations and seek help. One issue I see with the CFP field is services range from 2500 to 15,000 INR. Just like many people dont know where to invest we will soon have the problem of who to go to for planning. It is not necessarily a good problem as there is the question of competence and experience to contend with. Anyone can give generic advice but for complex situations experience will be crucial. We already had a chat, hope you remember. 1. None of my friends, or even friends-of friends, relatives have even thought of hiring a CFP to achieve their financial goals. 2. how can I achieve the goals of Buying a car, flat, some farm house after retirement, foreign trips (just to count a few), with a small salary of 28,000 per month even after hiring a CFP. How can they help to save such big amount when i have only one source of income that is also quite small in a city like pune where I am living in a rented flat. Can you please give a justifiable answer to my second querry, i want to understand the different aspects of the services provided by CFP, esp. to people like me. though i understand you may be quite busy with your clients but the only people, i know, who can answer this question is you and Anil Kapila. Saurav, Sorry for being harsh. I think anyone with a little common sense can answer your second query. The harsh reality is for a person making 28 K a month, a farm house is very likely a dream not a goal (perhaps a 1000 km from civilization with affordable land rates). A financial planner will tell you which ‘goals’ are achievable and which are not. 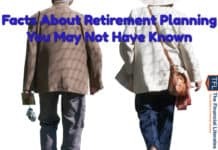 Most people need planning advice for mandatory goals like retirement, child education etc. Many CFPs agree that it can be done by oneself. However it would require time and effort …. a lot of it. I think the most important and perhaps the most difficult thing a CFP has to do is to convince people to be realistic in their expectations of returns from various types of investments as well as about their goals. Agreed. You reply to Saurav is pretty good. The worst part of growing up and settling down in life is you begin to understand one way or the other how many of your dreams can be made goals and how many will remain dreams. The moment will have a bit of sadness for most people. Well that is life. 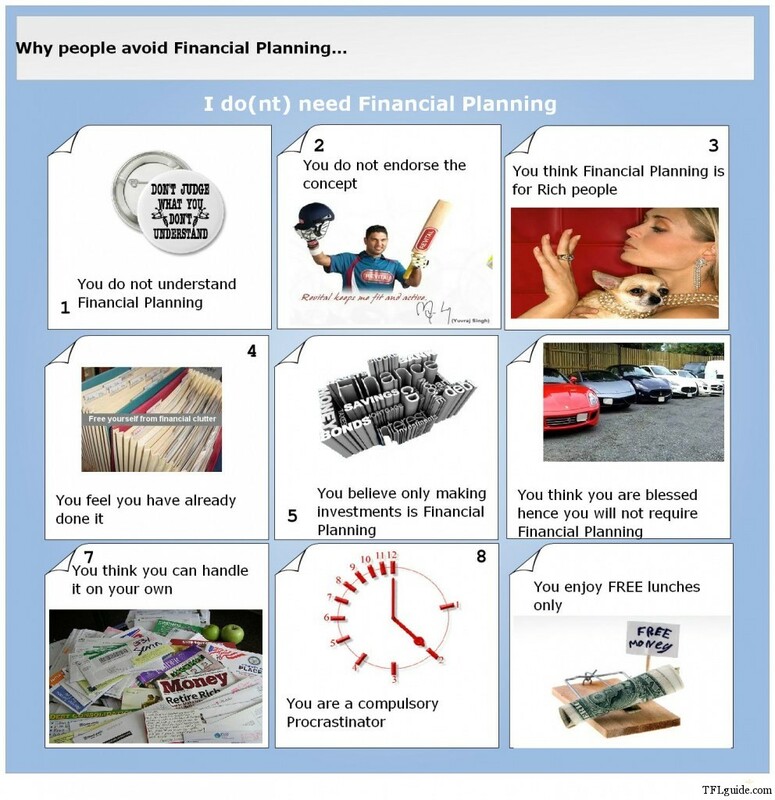 I do not know about your age, your qualifications, your job, number of financial dependents you have etc so I am not in a position to advise you but this much I can say that as Hemant has also rightly pointed out at point no 3 that most people have this wrong conception that financial planning is meant only for rich people. In fact my feeling this that common people with limited resources have greater need for financial planning than rich people with unlimited means and it is a real challenge for CFPs to do their financial planning. I do not blame the common people for this notion as anyone who reads case studies on financial planning in newspapers and personal finance magazines will get this impression.Most of the case studies I have come across are of double income couples with good resources. Please remember that most of the people when they land their first job have limited income.I am sure your salary is not going to remain Rs 28000/- per month for ever and there are a large number of people who earn much less than this amount. The only important thing is that one has to learn to live within means and avoid the financial poison of credit card debt at all costs. Moreover, as Hemant has mentioned in Setting SMART goals that you have to set realistic goals for yourself depending on your financial situation. You can always reset your goals with changes in your financial condition with time.If your means are limited aim to have a scooter and a small flat initially instead of going for a car or a big flat. When your income increases you can always think of a car or a bigger flat. Moreover, some goals have a very high priority and others are only wishes. 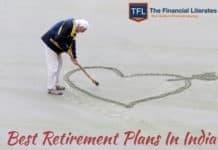 Your goal of highest priority should be your retirement planning and not a foreign holiday or a farm house.This is precisely where the CFP will help you in setting realistic goals and provide a road map to march towards those goals. Today I have gone through the testimonials of some of your clients and realized what I missed when I was in their position and I had no person like you to guide me. Hi Hemant, Very useful guide on many who still totally avoids to even think about paying the financial planners. Change of such mentality among us is the need of the hour. hello , sir . first of all thanks a lot sir for opening my eyes regarding investment. i appreciate your guidance and efforts which will benefit the common man of INDIA. i read the article regarding LIC agents, n how they are making fool and earning money out of it. i wud like to take ur suggestion regarding my previous investments in the LIC polices. i m 28 yrs old working person. i have taken ULIP profit plus and invested 25 k every year . it is a five year plan and sum assured is 1,25,000. its my fourth year now. shall i continue wit the policy or i surrender it n start my term plan and mutual fund investments.?? regarding my second policy i hav taken JIVAN SARAL. my monthly investment is 3000. shud i hav any one LIC policy like JIVAN saral for the safer side. ?? As per me the reason why Financial planning has not picked up in India: It is new. Our parents didn’t have have any financial planner. As my parents say there was hardly much money to invest and secondly the investment options were limited. Mutual Fund meant just UTI, Life Insurance meant LIC, rates on fixed income were good. We often look at parents for most of our decisions. When I started working the first investment my parents did for me was buy National Saving Certificates(NSC). Now the scenario have changed – 44 AMC companies, more than 1000 mutual funds, so many insurance companies..Less time, information overload. So help is required. Secondly those who tried Financial planning are not much excited about it, Maybe because of lack of good financial planners. Few of my friends used the services of financial planners -ended up churning their portfolio often. It is a new concept which is slowly spreading..and with good Financial planners more and more people will use their services. Most of the people do not feel the need of financial planning although everyone has a different reason for that. People with limited resources tell that they don’t have money to invest to do financial planning. Young people don’t seem to be in any hurry to plan for their retirement. Most people are too lazy and they don’t want to do any home work which is required for financial planning.Because of their laziness the desire is naturally missing. Many people don’t like to share their financial secrets with anyone.So they will not trust a CFP in their financial matters. My investment in mutual funds also started with UTI and US 64 was my first investment.Subsequently, all my investments which also included UTI ULIPs were done only to save income tax.Financial planning of my generation was confined only to income tax planning. The only good part is that I adopted buy and hold strategy and all my unit certificates have been converted to account statements of top performing schemes of UTI like UTI Opportunities Fund. Our culture also is not very much helping the cause of financial planning.Joint family system with family owned businesses has no place for financial planning.I am sure most of the people in these families even do not know that something called financial planning exists. My parents don’t understand the concept of financial planning , they still prefer to put their money in FDs. It is great to know of a person like you who is open to new ideas! Your comments are feedback are always helpful. I have inflation figures of only last thirty years available with me.So I have no clue to what the inflation was like during the time of my parents.It looks like inflation was not very high during their time.I remember my mother who was a teacher used to invest in post office schemes, PPF and bank fixed deposits.She also used to buy gold coins.I don’t remember my parents ever mentioning inflation.My father also bought and sold many properties during his life time.This was all done without any planning.But times and life styles have changed considerably now and some amount of financial planning is definitely needed for everyone. I’ve been a regular reader of your blog for some time now and find it very useful. You are doing a fantastic job educating the people of India & overseas about financial planning. Keep it up! Usually I do NOT post comments on blogs but a rather strong comment from Sanjay made me do this. It’s just not right to accuse or assume people’s talent without even knowing them properly. I do understand how time consuming it is to reply to so many comments on a blog or even draft articles to post on the blog for FREE! If the reader numbers are growing you are certianly on the right path shouldn’t be hurt by certain strong comments from people. Not everyone has the same thought process. I like the way you think financially and so do other readers. I guess the numbers who don’t agree with your thought process is less but you need those people/comments as well. Some might get you to intropect for the better. Personally i feel you are doing a great job and you should continue to do so without being bogged down. And BTW Congratulations on becoming a Dad! Happy parenting! Again a good article from a good person. Dear Sanjay I dont find anything wrong if a person is using any means to promote his business. Afterall there is no free lunch, so before making such comments think well. Even you would not work without money. Wish you and Your wife Sunitha Very Happy Birth day and Many many happy returns of the day. I have been following http://www.tflguide.com from quite sometime. I do not have any embarrassment to say that I have learnt so many things which I did not know that those exist. I even did not know what are Term Plans. Frankly I was unaware the difference between Insurance and Investment. 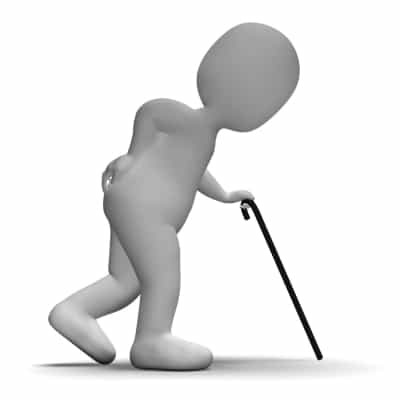 I knew only that insurance policies are give return after 5 years (bonus) or after completing the period. Now I am making financial planning based on the articles posted on the website. As per your article, I come into point nos. 1, 5 and 10 category. Also I do not agree with Anil Kumar Kapila’s comment that Sanjay’s comment should be thrown into dustbin. We should encourage people to come up with their thoughts whether good or bad. Benefit of these types of comments, our mind can think differently and we can take out positive things from there. I don’t about you how you will that information but people like me can able to analyse the things and can take better decision. These types of comments may take people, like me, into wrong direction but here you come for our rescue Hemant. So keep doing good work. I know what it means to have a thankless job, but at the end of the day its the satisfaction that u get out of it,knowing that somewhere someone has gain out of it. Let me thank you from the bottom of my heart, before I started to read your article in TFL, all I knew about money was LIC and FC. Today I understand many more terms like asset allocation and risk related to investment, I m now planning for my retirement in next 5 years, without your article I would still be moving without a goal, but today I have a goal or how to put it, a number that I want to achieve in the next 5 years.All thanks to u. So no matter what some people say just ignore them and keep doing the g8 work u have taken up, God be with u and all the best to chotu financial ustad. I agree with you.The satisfaction you get in giving something useful to someone is far greater than in getting something from someone. happy B”day mr&mrs hemant ,congratulation for chhotu hemant. forgot to congratulate on the arrival of a new member in your house.Congrats to both u and your wife..I also have been blessed with a girl in Jan..
Congrats for arrival of lakshmi! First of all, congratulations on the arrival happyness, i mean CHHOTU to your family. Many happy returns of the day to you & your better half. May god always keep you all healthy, wealthy & joyful, because you are a great social worker & helping the needy like me, who is regular follower of your articles. In my opinion I am very lucky that I have someone like you, who can answer any query regarding financial planning. In your stride please ignore few harsh comments(sanjay), because majority of the readers is in favour of you. I have gone through the financial planning case study which recently appeared in Express Money.It is obvious that a single mother earning Rs 2 lacs per month with a daughter to support needs financial planning more than anybody else as such persons are normally not in a position to plan their finances themselves. What is striking is that she is spending too much than what a woman in her position should normally be doing.This appears to me to be the main cause of her divorce.Young people who start earning more during the early part of their lives think that they have been given a licence to spend.The urge to save is very weak in them. They believe in blowing up their money which creates problems for them in later part of their lives. I fail to understand why a person earning such a fat salary should need a bank loan to buy a car.Moreover, it does not make any sense to put your money in direct equity if you have no knowledge of the stock market and no time or inclination to do the home work required for direct equity investing.Many young people are lured by the thought of making quick buck without realizing that it can burn their fingers. Initially when I saw the amount kept for daughter’s marriage I thought the amount was too low considering the income of the woman.However, I agree that for her building her retirement corpus should have the highest priority and corpus for daughter’s marriage the lowest priority.It is true that education can be funded by a bank loan but there is no provision of a bank loan for building retirement corpus. It will be a big lie if I said I know anything about financial planning / what to expect from it or /why I need it or don’t Need it . And broke my spine . After spent every single rupee /dollar I saved for my medical expenses I was forced to be in bed rest for quite long time 🙁 . Then I realized how unprepared I was to handle my personal finance and went to depression mode of feeling penniless . Last week I think some how I came across your article about employer medial insurance and need to have my own insurance in addition to that . That was my wake up call. Now I am atleast know that how much I don’t k know . You simply saved me out of self pitiness and gave me hope of clearing the financial mess I have created for myself. So million thanks to you from my family and from me. Thanks for your helping me with your blog . All the above my heartful thanks to Hemant for this wonderful website. I’d recently come across this website. And it was so true for me that I always avoided financial planning. I used to think that financial planning is essential for the investors. After reading few of the articles, I really understood what the tax structure is and why one should do financial planning. Forget MR. Sanjay blog its opinion . Opinion are just like a watch means all world clock are not same . I have read swami Vivekananda whatever you start first people just against with you after that they do fun with you . when you get success after that they accept you . If he say C.A is not competent for tax planning every body can do tax planning So I wont agree with sanjay blog . I dint seen japan So I cant say there is no country in this world . I think CFP IS the best profession and its grand work . I surprised there is no quote about gold or silver ETF investments. Is it worth full investment than physical holding or any superiority.If its is so I would like to invest in the ETF. There are many articles advocating gold ETF in preference to accumulating gold in physical form. Many of them seem inadequate in analysis, if not down right misleading. Let me elaborate. Let us say I want to accumulate gold for my two daughters’ weddings which are five and eight years away. I have two options : I buy gold in manageable instalments , say from a bank and keep them in lockers. Else I subscribe to a gold ETF. If I buy gold ETF through SIP , when it reaches the target quantity then I encash it, go to a bank or jeweller and buy gold. In this process I pay a hefty capital gains tax when encashing. This is a peculiar situation in my opinion. When I sell a general capital asset ,it leaves my hands, is no more in my possession and so paying a tax on the capital gain is justified . But if I view the gold ETF as gold in dematerialised form as the Asset companies want us to believe, then while still in possession of the capital asset (gold) , why pay capital gains tax? But that is the law! Think over; if gold price continues to surge like it did in recent times then it will result in a hefty capgain tax with or without indexation. Will not this tax be more than the mark up that the banks are charging over market price of gold while selling and the cost of bank lockers? Perhaps Hemant can explain better. hi, good to see about the Ideas.I had appointed a financial planner for my investments 6 months back.will wait & watch the performance.But we need to give some time also to him to perform. Appreciate your efforts to educate the people! And hats off to your perseverance that keep you moving on! Its saddening, seeing some of the comments! Now “Google sea” is the base and source of many individual’s life… And whoever is willing to eat free meals, I think that’s the right place… But, need to understand, Cancer’s medicine’s names are available in the Web… Medicines are available at the store, but unless and until doctor prescribes it, would the patients it? A qualified, practicing doctor only can recommend the intake quantity and duration of medication etc. However, as its not playing with the life, people are not much bothered about their financial health in under developed and developing nations. I have mentioned two words here “Qualified and Practicing”. More than the degree, his experience counts… As of now, “CFP” is not mandatory for Practicing Financial Planning in India. Hence an ethically strong, experienced, practicing professional Advisor also can carry out the work of a Financial Planner. In Our country, Indian Population is yet to come to the realization that the Financial Planners are working for the better future of Individuals… Because of certain unethical Financial Advisers the general approach towards Financial Planners are “a category of agents who are always after our life to sell life insurance and gain huge commissions”. 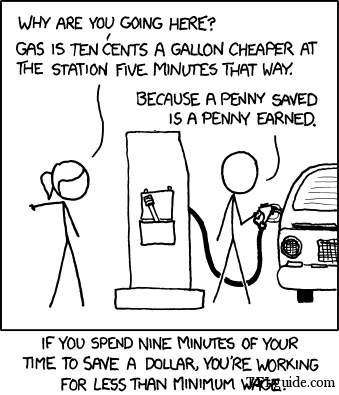 I am not saying the people who works in other field can’t do this work.. Obviously it’s possible… But, if you take the count that comes up to 0.01%. But one thing he also needs to understand, ‘The financial planner is having “investment experience” of all his investors’ and he is into it… But a book/Google worm from different industry will have only his own “investment experience” unless he does a part time job. You are doing a fantastic job , your posts are really an eye opener very nicely touching every aspect of life . What i find more interesting is your posts not only provide knowledge but they take you for an insight tour , and that is more important because one can easily attain knowledge but insight will help you answer all your questions, You rock !! Thanks. Forwarded this to developer. Great work! You have bombarded this site with valuable pieces of information and ideas. Excellent write-up mate.